Eleesha R. Tucker (M.A.) 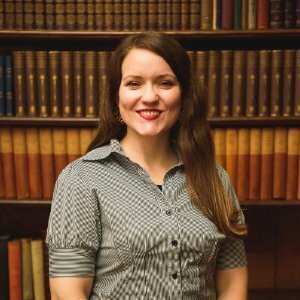 serves as the director of education at the American Revolution Institute of the Society of the Cincinnati, located in Washington, D.C. She develops resources and provides instruction for classroom teachers and promotes the liberties secured through the achievement of American independence. Her Master’s thesis investigated the origins of religious liberty in revolutionary Virginia.